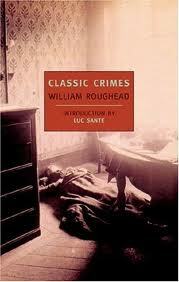 And now, my favorite of this fearsome foursome of NYRB books, Classic Crimes by William Roughead. You can view what I have to say about this one at the crime segments portion of my reading journal. If you are an aficionado of true crimes of the past, you definitely won't want to miss it. This one also goes on my "highly recommended" list of books. *On the Yard, by Malcolm Braly.